← Sunday Musing – Does Miyamoto Ever Get Angry? Now ladies and gentlemen, the answers for today’s show! The first game was easy as cherry pie àla mode. 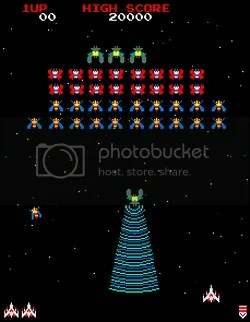 It was 1981’s Galaga by Japanese developer Namco. Go ahead and give your self 100 hundred points for answering that! The second was a little tougher, but not extremely hard unless somehow you’ve been avoiding the internet for more than ten years. 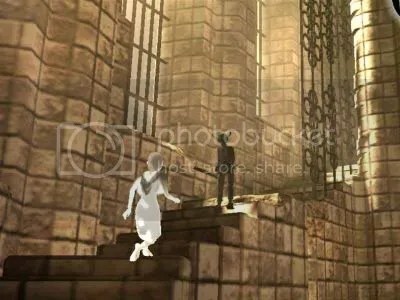 From Fumito Ueda and Kenji Kido of Sony Computer Entertainment Japan, it’s 2001’s Ico. If you got that right, then double dip for 200 points, oh and plus a bonus 100 if you have the game for the PlayStation 2. Now for our last entry, which honestly is a downright what-the-heck-is-this gem of a game. 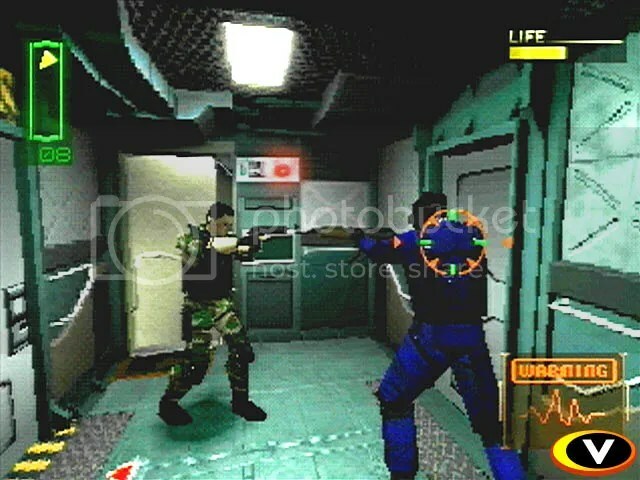 You really had to be a devoted PlayStation One collector, or a fan anything Resident Evil looking in order to remember this game. So for 300 points, what game is it? Why it’s Covert Ops: Nuclear Dawn from the year 2000. Covert Ops is a PlayStation One third-person-shooter game, set aboard a terrorist abducted high-speed-rail train. Playing the lead role as a lone NATO lieutenant solider, it’s up to you to take down the bad guys and save the world from nuclear disaster. Sounds like a 1990’s movie plot staring either Steven Seagal or Claude Van Damme, which is always an awesome plot device for any action game. The game play itself is middle of the road, and as I passingly mentioned above, plays all too much like Resident Evil; right down combining items, shooting like a tank, and collecting colored keys to open doors. Although one amusing difference between the two, is that in Covert Ops, you saved your progress at toilets, instead of typewriters. Well now let’s add up our collective scores! The player with the most number of points wins a fabulous prize! Absolutely nothing! Well that’s all for this time, hope you enjoyed this little game of ours, and I’ll see you next time on: What’s That Game?! This entry was posted in What's That Game and tagged Game show, Namco, PlayStation, Sony, whammies. Bookmark the permalink.